Finally, a rocking toy that’s as zany and offbeat as your child. This seriously hypnotic rocker is fun, chic and a super modern twist on the well-loved classic rocking horse. Made with laminated, custom-printed and scratch resistant Birch plywood, this durable toy is sure to hold up after hours of rocking. The rockers are shipped in a space-saving, eco-friendly flat-pack design and there are three designs to choose from: the adorable (but crazed looking) zebra, a personable panda and a regal tiger. Beyond being fun, each piece adds a stylish punch to any nursery or playroom. Finally, a rocking toy that's as zany and offbeat as your child. 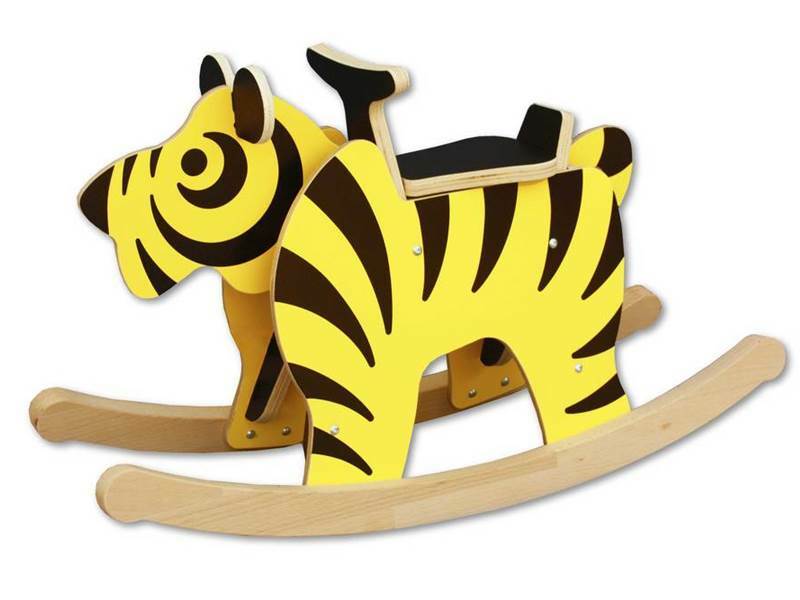 This seriously hypnotic rocker is fun, chic and a super modern twist on the well-loved classic rocking horse. Made with laminated, custom-printed and scratch resistant Birch plywood, this durable toy is sure to hold up after hours of rocking. The rockers are shipped in a space-saving, eco-friendly�flat-pack design and there are three designs to choose from: the adorable (but crazed looking) zebra, a personable panda and a regal tiger. Beyond being fun, each piece adds a stylish punch to any nursery or playroom.